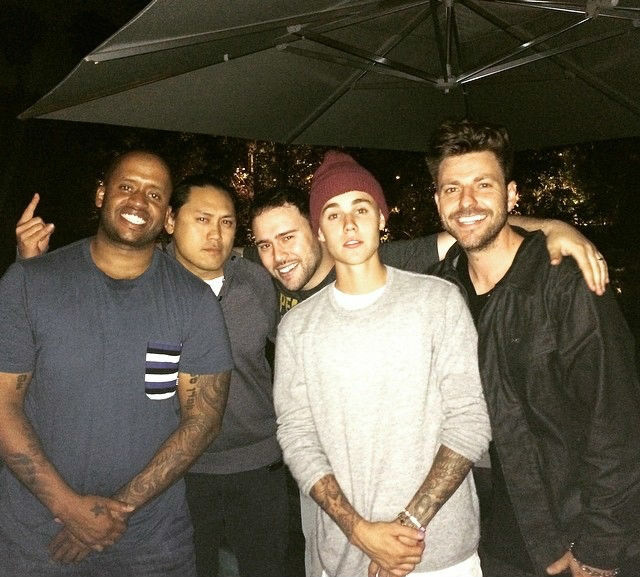 Justin celebrating his manager Scooter Braun’s birthday at the famous hotel on Sunset Boulevard and uploaded a snap to Instagram of him with his crew, captioned: “Boys are back in town”. He held his phone up to cover his face when heading into the hotel. Scooter Braun to Host Hillary Clinton Fundraiser at home, Will Justin Bieber Attend the event? Looks like everybody had fun even though that hotel they celebrated at has a bad rep.